Privat-Ski.ch is a pool of local ski instructors of the Jungfrau Region. All instructors are selfemployed service providers. 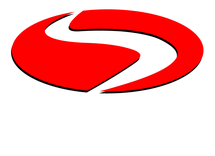 Privat-Ski.ch is the brand of the private snowsports instructors association grindelwald. With our website clients can contact and book all instructors directly. Each member of privat-ski.ch maintains his on personal profile with qualifications and availability. In November the profiles are up to date for the following season.